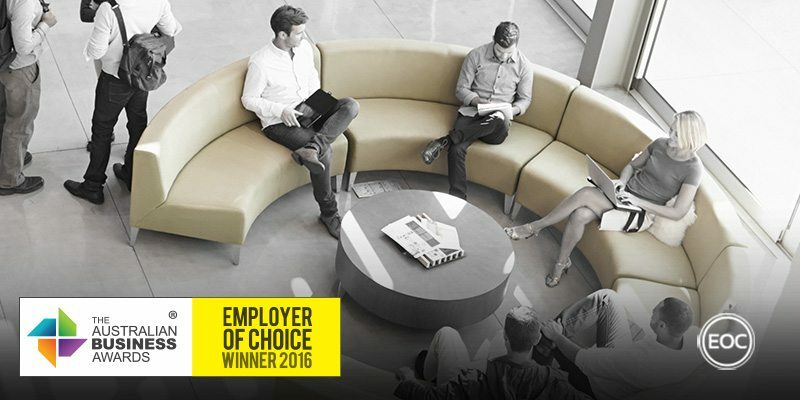 IRT Group has been recognised as an Employer of Choice in The Australian Business Awards 2016. IRT Group is one of Australia’s largest not-for-profit providers of seniors’ lifestyle and care services. Established in Wollongong in 1969, the group has Lifestyle Communities, Care Centres, In-Home Care and Wellness Programs in NSW, the ACT and South East Queensland. Employing 2200 people, IRT Group have committed to fostering a caring and respectful culture that provides quality service to their residents and customers. The vast majority of IRT’s employees work in Lifestyle and Care services in operational capacities. As such, IRT continuously review their HR policies and practices to not only align with legislation, but also to create best practice approaches. This helps to ensure that they retain valuable employees that feel recognised and supported, in turn providing the best outcome for their residents. New policies are designed to achieve IRT’s mission and align with their values, specifically addressing early engagement with employees through induction, wellness and employee assistance programs. IRT fosters a learning environment for its employees, within which they have the opportunity to develop their careers and be part of an adaptable workforce that’s equipped to handle the ever changing aged care landscape. To this end, IRT have developed a learning and development portfolio, which includes: IRT College, a Registered Training Organisation (RTO); an Organisational Development Unit; and a Clinical Development Unit. These training opportunities flow into career development pathways, which are monitored by IRT through a performance review system that allows employees and their supervisors to have open and honest discussions regarding performance. This process is designed to be a two-way street and to recognise high performance employees through a formal rewards system. IRT monitors and reviews its Health, Wellness and Safety through monthly, site based Work Health and Safety (WHS) committees. At this level information is tabled regarding new risks identified and preventative actions taken to mitigate those risks. This is compounded by budget provisions to support employees to attend various fun runs and other health initiatives. These events take place as part of a dedicated wellness calendar, which is distributed and promoted throughout IRT.